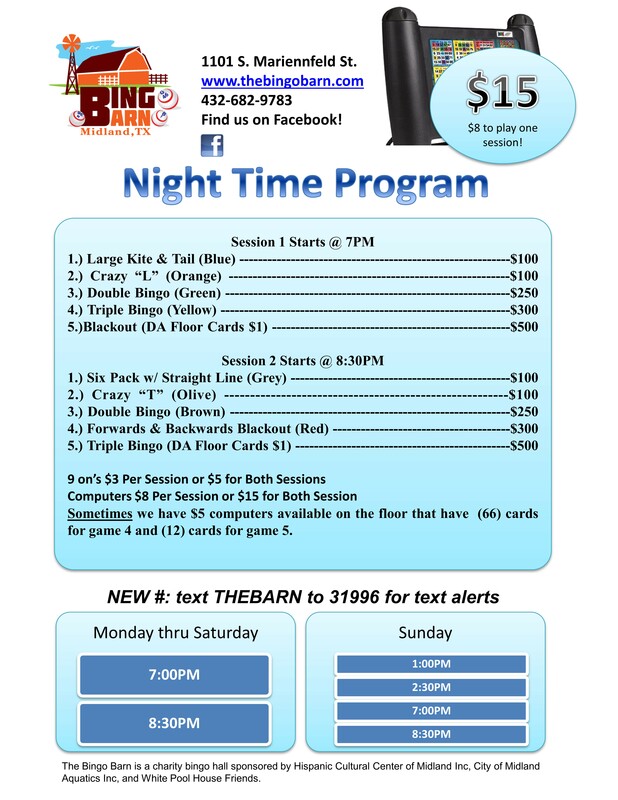 Be on the lookout for our late night session! 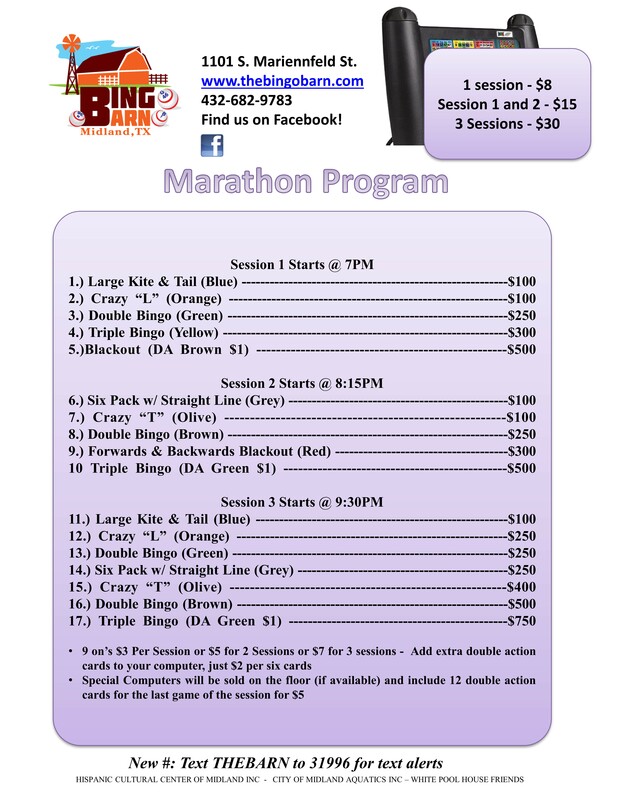 *Subject to change pending weather, Texas Lottery Commission licensing, or other factors. 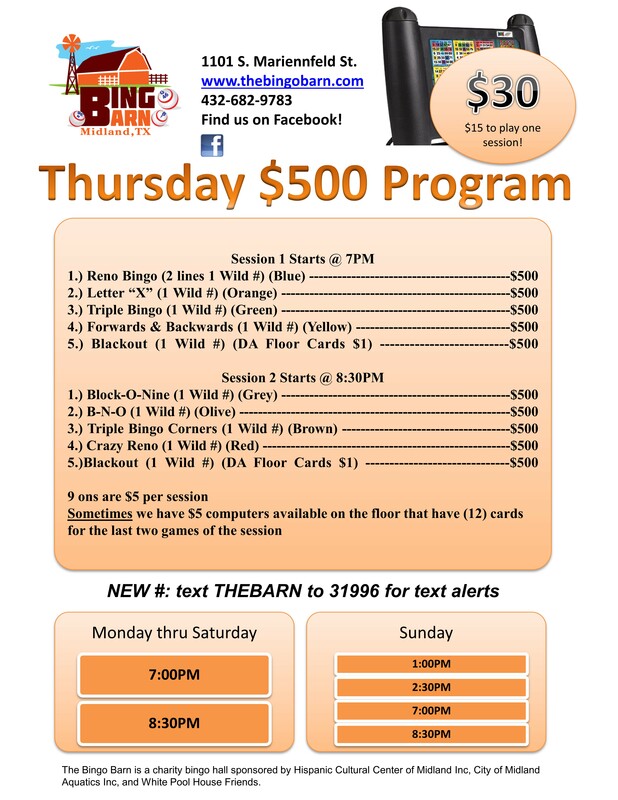 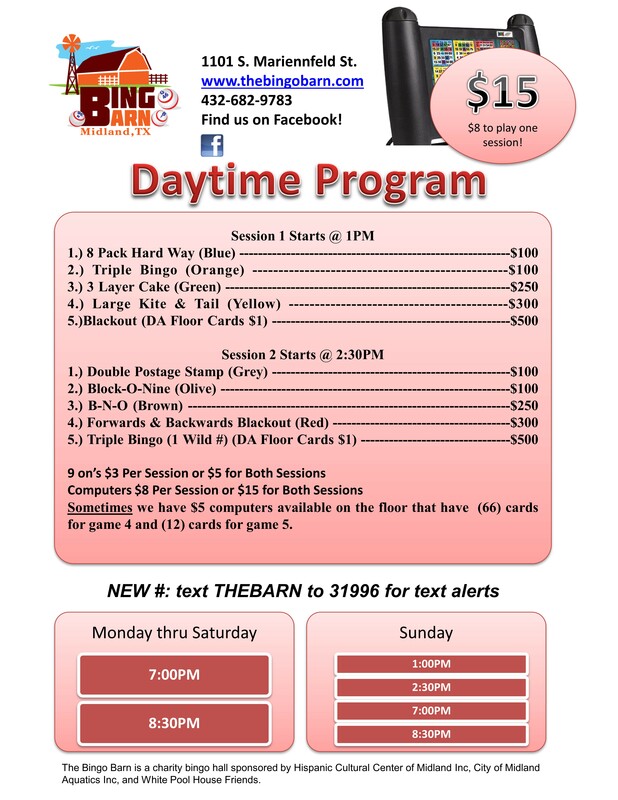 Join our mobile VIP club by texting thebarn to 31996 to get text coupons and updates! 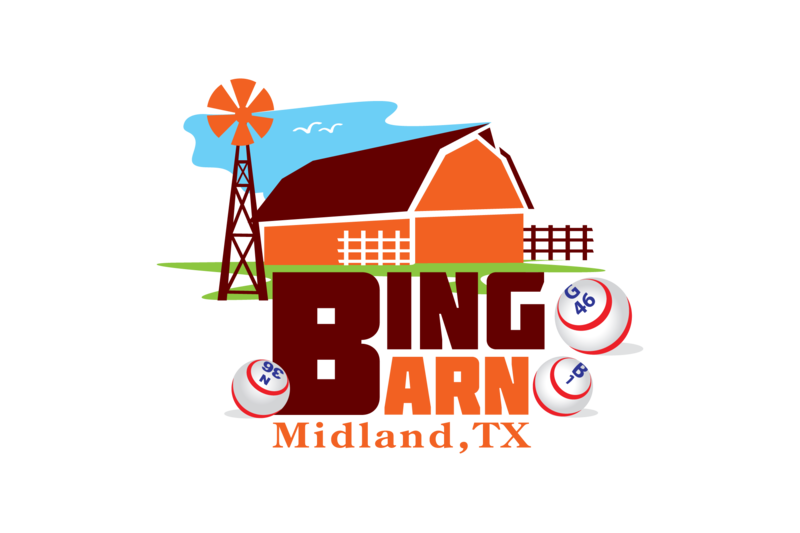 The Bingo Barn is a charity bingo hall sponsored by Hispanic Cultural Center of Midland Inc, City of Midland Aquatics Inc, and White Pool House Friends.